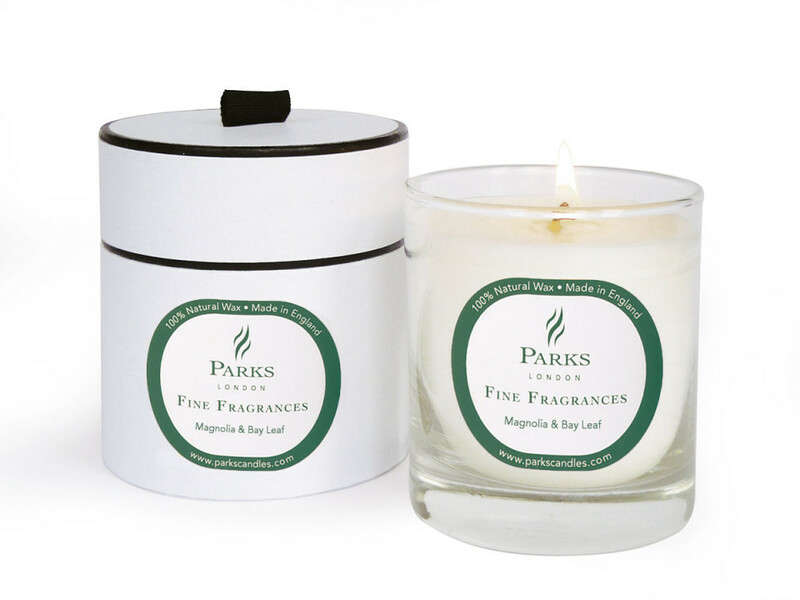 Sink into the rich and sensual aroma of our Magnolia & Bay Leaf candle, made from the finest natural wax wrapped up in an elegant glass votive. Marrying the evocative floral bouquet of fresh Magnolia with the timeless and powerful aroma of bay, this wonderful fine fragrance candle brings captivating scent to any space – helping you set a relaxed and sophisticated mood in your home. Blooming in the late summer sun, magnolia is a beautiful flower distinguished by its long and elegant petals, and its inviting floral fragrance. This delicate scent, reminiscent of vanilla, gardenia and lemon peel, underpins the fragrant bouquet of this enchanting candle, delivering pleasing top notes that help bring the uplifting scent of summer to your space. Grounding the heady floral top notes of magnolia is bay, whose delicate herbal aroma adds richness, depth and spice to the fragrance. Predominantly used in cooking, bay is also renowned for its earthy, slightly floral aroma, which helps to bring balancing middle notes to the blend – for a rounded and satisfying fragrance that’s perfect for the kitchen or dining area. Part of our exclusive Fine Fragrances collection, the combination of sweet magnolia and herbal bay leaf is the perfect fusion of sweet and savoury, for a refined and mature fragrance. Our all-natural wax blend means you can enjoy long-lasting fragrance for up to 50 hours, while the charming glass votive and elegant presentation gift box mean our Magnolia & Bay Candle is the perfect gift for a loved one.